Edith Spear Obituary - Scranton, Pennsylvania | Solfanelli-Fiorillo Funeral Home Inc.
Edith Spear of the Plot section of Scranton, a guest at the Green Ridge Health Care Center passed away Thursday at the center. She was the widow of Raymond Spear Sr. who died in 1985. Born in Scranton, she was the daughter of the late John and Minnie McClosky Rodney; prior to her retirement she was employed in the local garment industry as a seamstress and a sample maker, she was a member of the International Ladies Garment Workers Union. 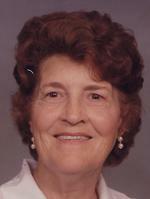 She was a devoted and loving wife, mother, grandmother, and great-grandmother. She enjoyed working in her flower garden and around the house, keeping herself busy doing various projects. She was a woman of strong Christian faith, and a longtime member of the North Scranton and Providence Baptist Churches. Surviving is a son, Raymond Spear Jr., Scranton; six grandchildren; ten great-grandchildren; a brother, Frederick Rodney, Milford, CT; nieces and nephews. She was preceded in death by a daughter, Debra Chobey-Spear. Funeral services will be conducted Tuesday at 10:00 in the Solfanelli-Fiorillo Funeral Home Inc., 1030 N. Main Ave., with Reverend Ginger Daubenhauser, as officiating clergy. Interment will follow at Fairview Memorial Park, Elmhurst. Family and friends may pay their respects Monday from 4:00 to 7:00 p.m.